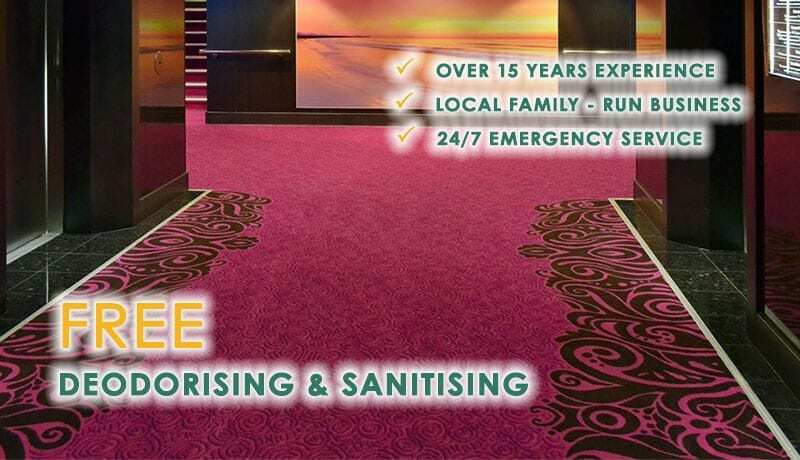 For over 18 years, we have been providing the residents of Gosford, as well as residents of Newcastle, the Central Coast, Maitland, Hunter Valley and Lake Macquarie with high quality carpet steam cleaning services. We have always been transparent about our services. Carefully explaining what our steam cleaning services can achieve and the nature of the chemicals we use in our line of work. We have become valued members of the community as much for our professionalism as for our honesty and our results. We only employ IICRC (Institute of Inspection and Restoration Certification) technicians and we always show up when we’re expected and act discreetly and professionally when we are in your home. We only use the steam cleaning method of cleaning carpets as we feel that it’s vastly superior to the carpet dry cleaning method. In steam cleaning, by using steam we are able to penetrate to the bottom layers of fibres in your carpet and loosen up all the dirt and grime that has accumulated there, loosen it from the fibres and remove it by using a powerful suction. With carpet dry cleaning, they use a flat pad to buff only the top layers of the carpet. It appears clean when they have finished, but beauty, as they say, is only skin deep. This method doesn’t remove the deeper layers of dirt and grime. In effect, they are only doing half the job in leaving the underlying dirt untouched. Your carpet will look clean at first, but after a few days of foot traffic it will appear dirty once again when that underlying layer of dirt has been disturbed. Why pay for all that expense and time only to have your carpets cleaned halfway? Aussie Pro Cleaning can perform carpet cleaning properly and professionally. We can also clean your rugs, upholstery and mattresses using the same, proven steam cleaning technique. And one of the most important services we offer is that of flood damage restoration. Whether your carpet has suffered water damage because of natural floods or plumbing problems in your home, the results can be catastrophic if not dealt with professionally and promptly. We are open 24 hours a day, seven days a week to respond to calls to calls for our flood damage restoration service. Our response technicians can get to you quickly and the service we provide will cost only a fraction of what it would have cost you to replace a ruined carpet. The key is prompt action to minimise any growth in mould or mildew that would cause your carpet to be ruined. Call us today to make an appointment for any of our steam cleaning services. We’ll answer any and all questions you may have.